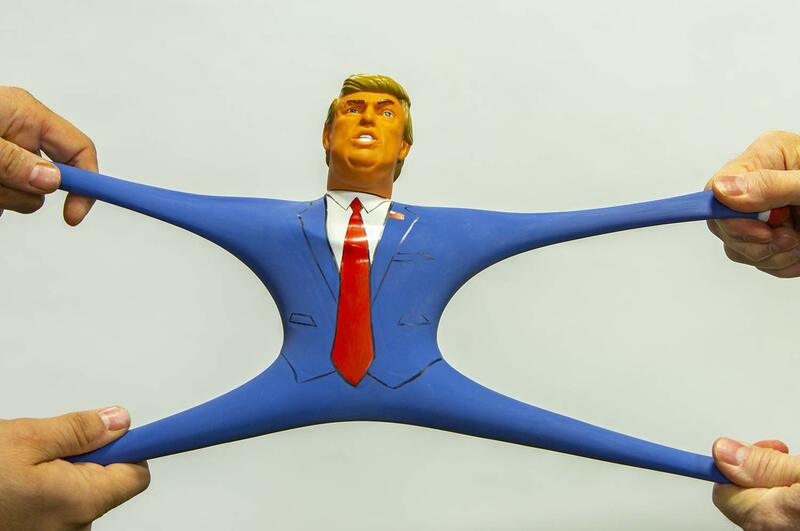 Move over, Stretch Armstrong, this stretch-the-truth Comrade Stupid toy is certain to give you moments of entertainment, before you curl up in the fetal position, weeping. This entry was posted in 12 Days of Mountjoy, Comrade Preznint Stupid, The Russian Usurper, holidays, snark. Bookmark the permalink. DO NOT WANT. Seriously, as soon as he is locked up, or drops dead, I never want to see him or think about him ever again. There will be far too much repair to be done….. There must be some kind of reminder to prevent a recurrence. Sorry, I know that is harsh. He’s neither that svelte nor that flexible. I should give one to my 2 dogs and see just how far it stretches. no surprise, it’s out of stock.